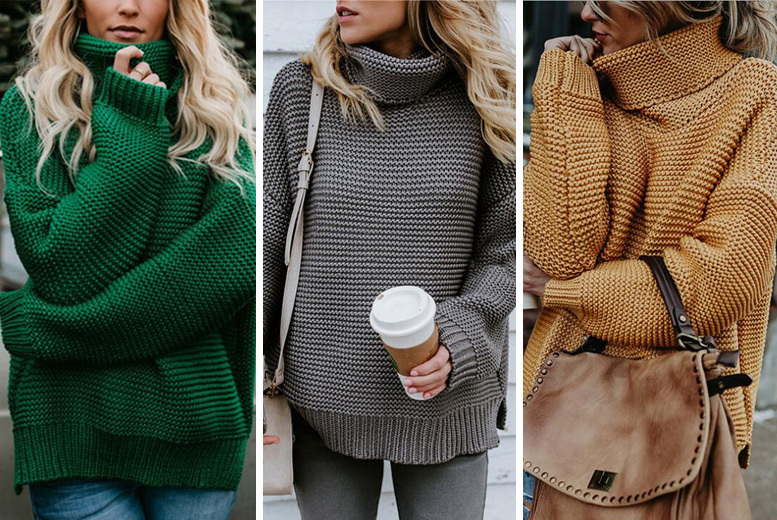 Keep cosy in a turtleneck jumper! Coming in green, grey, red, camel , prink, black or brown colours. Available in UK sizes 10-16. With a casual, loose fit.